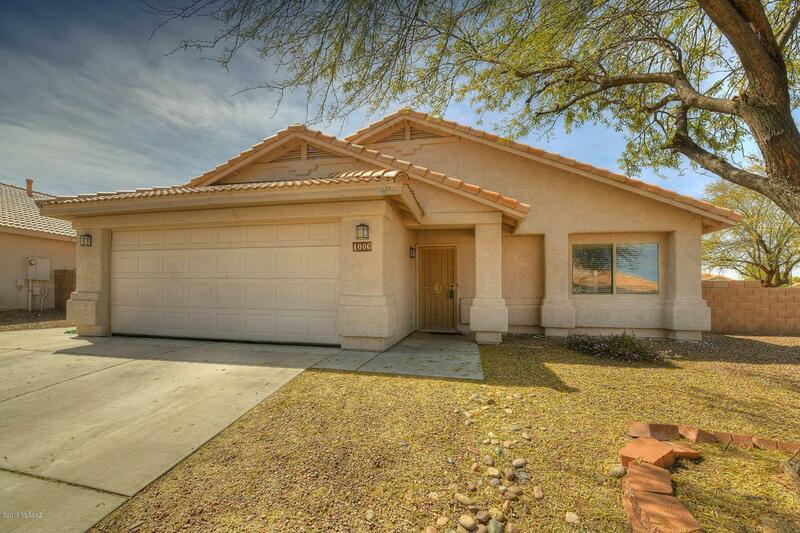 Large 1,752 Sq Ft. home is perfectly located near 2 cul-de-sacs.Home is loaded with popular options.Neutral ceramic tile throughout living areas and carpet in all bedrooms.Soft water pre plumb.Upgraded insulation. 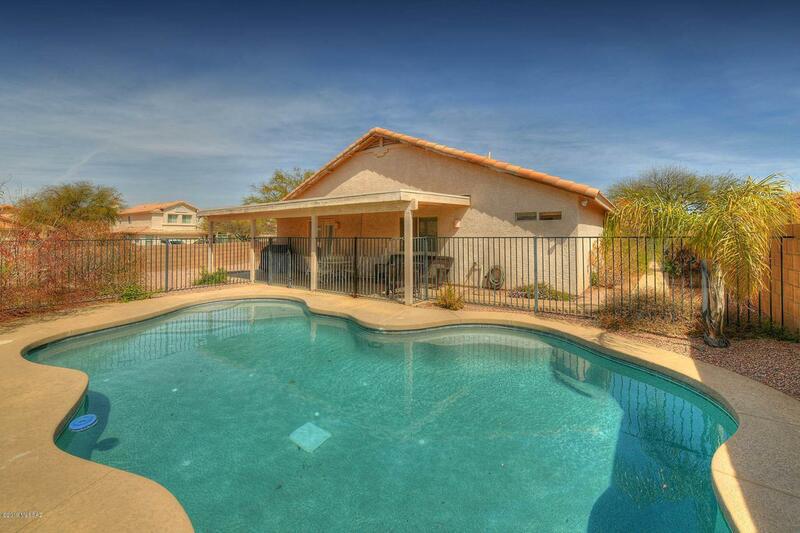 Dual pane windows.Double french doors open to a huge covered patio, POOL & large walled back yard. 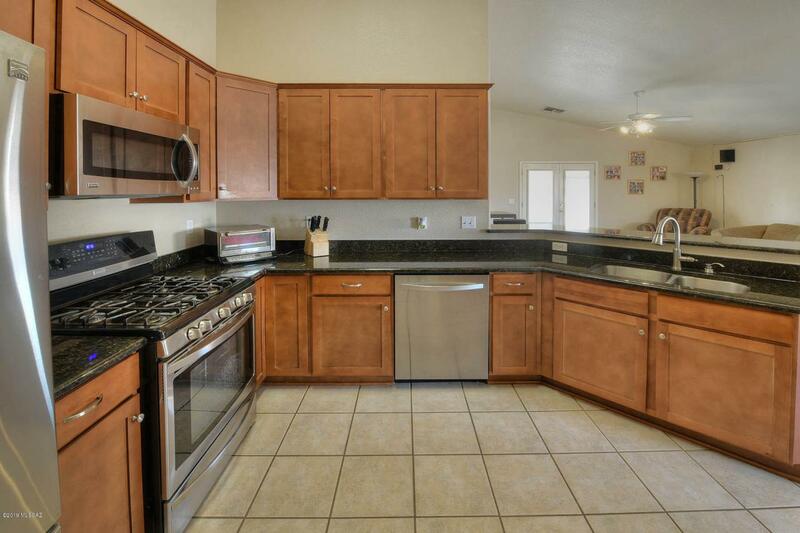 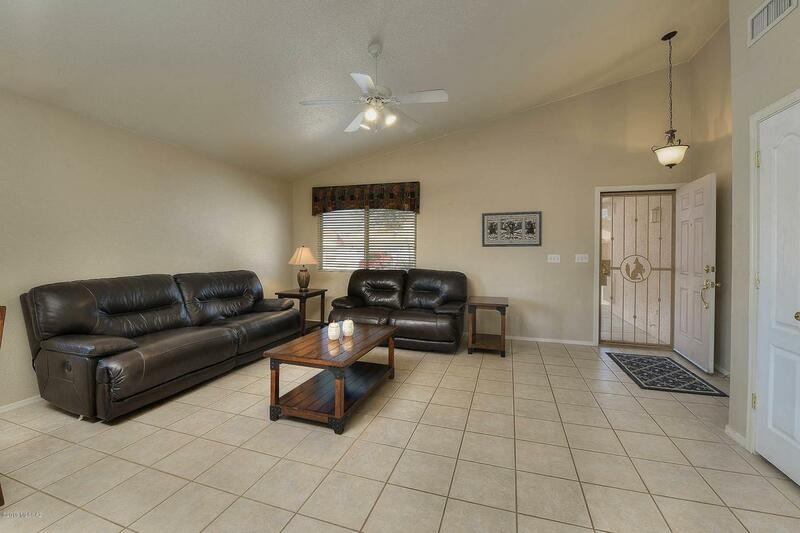 Kitchen has granite counters & maple cabinets and opens to large family room.